Yes, something besides a royal wedding was produced in the UK today. We've got a brand new edition of World on Water. Every Friday we post a nautical tune to kick off the weekend, even if you can't get out on the boat. With all the tornado devastation across the south this week, primarily in Alabama, and with last week marking the one year anniversary of the Gulf Oil Disaster that affected all of the gulf coast states, including Alabama, we wanted to pick a song that would keep the Yellowhammer state in our thoughts - even while a certain wedding across the pond attempts to distract us. 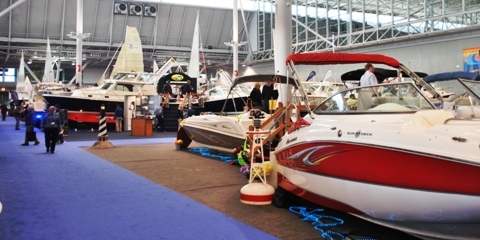 NMMA Report: Boating is up, but boat sales are down. Will gas prices keep you out of the water? Every year the National Marine Manufacturers Association (NMMA), the recreational boating industry’s leading trade group, produces something it calls the Recreational Boating Statistical Abstract. 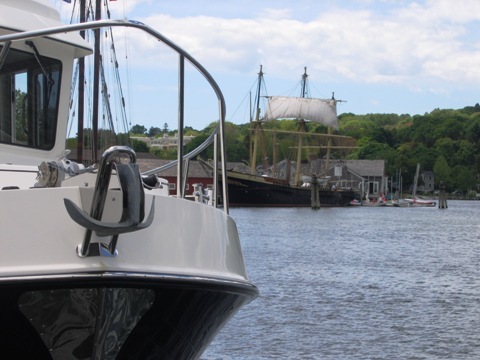 Yesterday, the NMMA put out a summary of its findings from its latest report along with some predictions for the 2011 boating season. We reviewed their announcement to see what was in there that affects YOU, the recreational boater, and to see if there were any surprises. Boat sales, fuel prices, and the number of boaters were all studied. Why Does My Boat with 4’ Draft Run Aground in 5’ of Water? 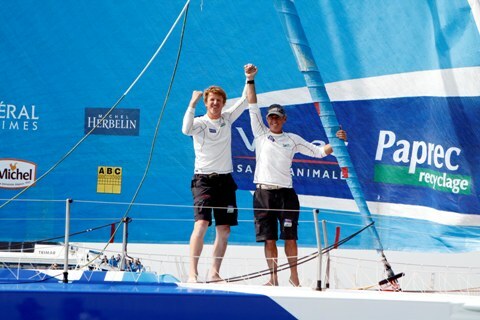 When I teach seamanship classes, inevitably somebody raises their hand and asks about how “flat” the boat should be? I ask, “By ‘flat’, I am guessing that you mean relative to her waterline. But do you mean when she is sitting at the dock, going slowly forward but only at a ‘slow bell*’ or making all deliberate speed?” As their eyes glaze over, I know that we will have to take it by the numbers. This column is about that. A year after the worst oil disaster in America's history, are things getting back to normal? 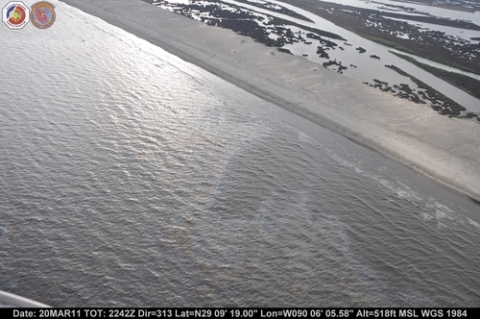 USCG Photo: A Coast Guard air crew from Air Station New Orleans spots an oil sheen off the coast of Elmer's Island, near Grand Isle, in the Gulf of Mexico, March 20, 2011. Last week marked the one year anniversary of the BP oil disaster in the Gulf of Mexico, which, among other things, put the Gulf's fishing and boating industries in a tailspin. But is our country's biggest environmental catastrophe being quickly forgotten? Or, were the efforts good enough and the damage minimized enough to prove it was really not as big a deal as many claimed - "200 million gallons of oil? No problem!" 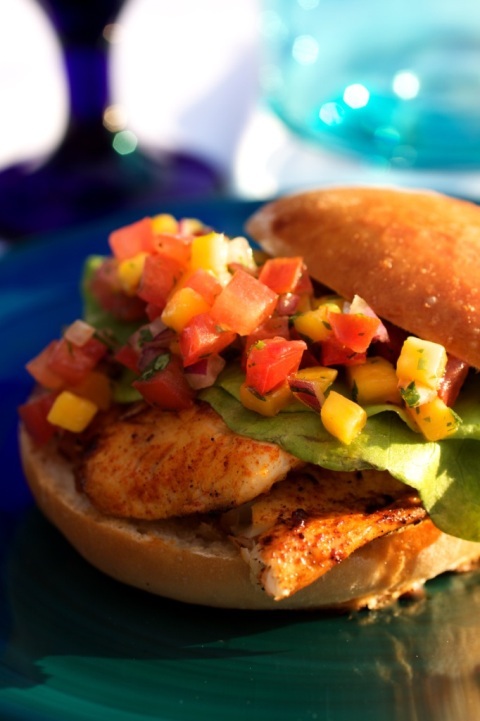 If you've never tried hogfish before, even Wikipedia raves about the tropical treat, stating, "The meat is considered to be high quality with a soft, white, firm consistency. The meat is considered one of the finest eating due to its shellfish diet." Intrigued? Keep reading for the full recipe. What does green boating mean to you? 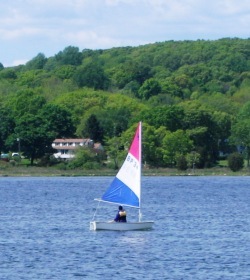 We're not suggesting you trade in your powerboat for a sailboat or a solar powered electric boat, but we would like to encourage you to keeping our waters clean and boatable for your family and future generations. One way you can start to boat in a more green-friendly manner is by following some of the safe boating practices outlined by the Ocean Conservancy's Good Mate program. 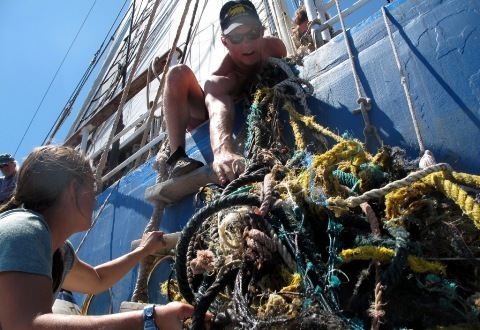 According to the Ocean Conservancy, there are five general ways boaters can protect our oceans and waterways, and conveniently enough, each of the five tips starts with a letter that ends up spelling the word "BOATS". The latest edition of World on Water was released today. - "Fresh to Frightening" featuring heart-stopping action with spinnakers up in big winds in the Audi MedCup Cagliari Italy. Everybody down the back of the boat and hang on! Help Is Coming – How Hard Will You Be to Find? 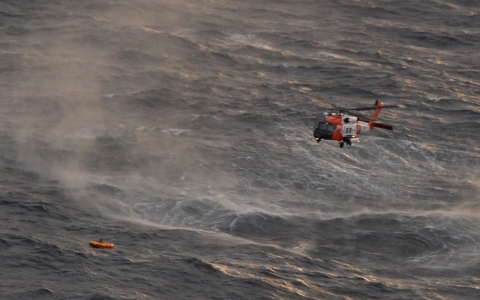 USCG photo taken a year ago yesterday by Petty Officer 1st Class Sara Francis of the Northern Belle rescue in the Gulf of Alaska. When I teach seamanship classes, I eventually get around to the fact that the sea is a dangerous and hostile place – but, if prepared, you can increase your odds dramatically if you view yourself as an astronaut on a far away planet. Help is on the way. It will take time to get to you. What have you done to stay alive while the rescue team is heading for you? This column is about those steps. 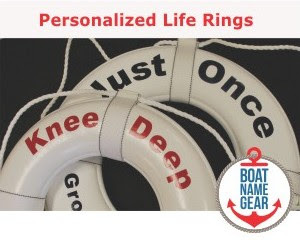 Top boat names show that boaters are seeking serenity, and they want it NOW! 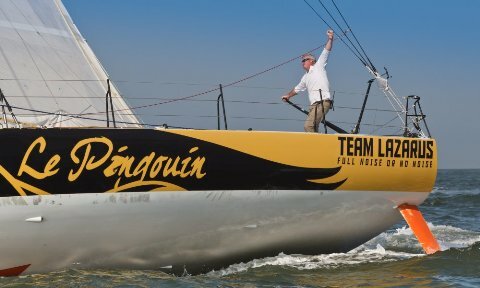 This morning we released the most popular boat names of 2011 on FirstBoat.com. A trend seems to have emerged from this year’s list that demonstrates how boaters enjoy their time on the water. Boat names like Serenity, Happy Ours, Family Time and Just Chillin dominated this year’s top ten. Does this tell you that boating really provides people with a way to relax and make the most of their time with family and friends? Is your boat name on the list? 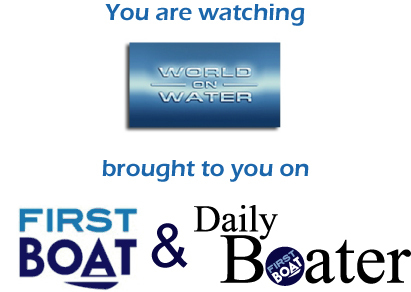 Visit our World on Water page to view the latest edition of the show - updated each Friday on the Daily Boater. Each week we post a nautical tune to help get your weekend off to a great start, even if you can't get out on the boat. Every once in a while, we divert from our normal sea song choices of 1970s yacht rock and Jimmy Buffett ballads, and today is one of those days. 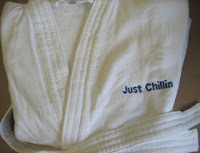 We are today posting a new club dance song that a facebook friend shared on their wall earlier this week. Although it may be a bit more modern than our usual picks, this song mentions rivers, seas and oceans, so it meets our criteria for a "Sea Song of the Week". And it helps that we haven't been able to get it out of our heads since we heard it. Now it's your turn to have this song stuck in your head, and we hope it helps you go boating in your mind. 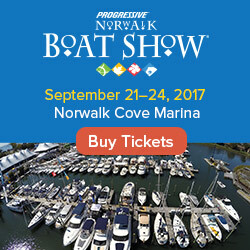 If you are looking for something to do this weekend, and you like boats, you are in luck. There are boat shows on both coasts of the US, several points in between, and all over Florida, where it's Jimmy Buffett Day this Saturday. 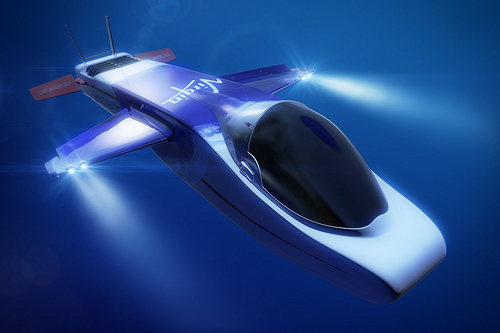 There are also boat shows in Europe and Asia. 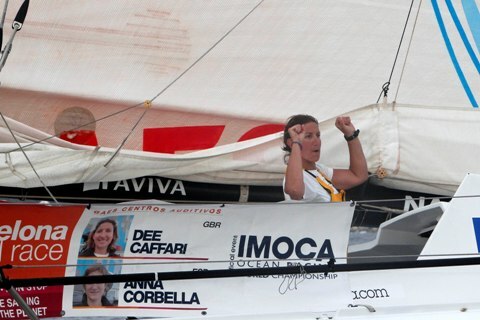 Record-breaking sixth place team finishes the Barcelona World Race and would-be 16-year-old solo circumnavigator Abby Sunderland releases her book. Guest contributor Vincent Pica takes another look at waves... this time he goes behind the scenes. 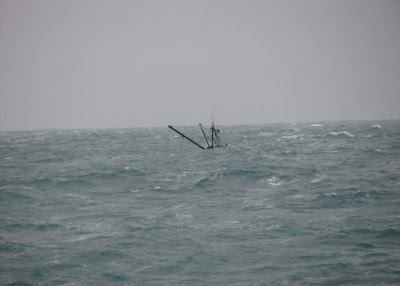 When we first put together the column on waves (Wave Theory – and Practice), I noted that we’d get back to waves and talk about different kinds of waves - tsunamis, deep, shallow, non-wind, etc – and the effect they have on mariners. This column completes that promise. Spring is in the air, and so are reports of capsizes and other incidents. Sharing these stories gives us an excuse to bring attention to boating safety. Some of these weekend news items wouldn't have made the news if some of the parties involved had taken boating education courses or had been wearing proper life jackets. Some episodes appear to have been unavoidable, but are still good reminders that anything can happen on a boat. Today's stories involve a kitesurfer, a tug boat, a couple of divers and some families, and stretch across our country and across two oceans. Each week we post a nautical tune to help get your weekend off to a great start, even if you can't get out on the boat. 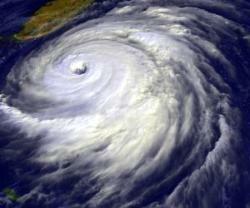 And while we're still months away from hurricane season, it was announced this week that a team at Colorado State University is forecasting a very active hurricane season. In light of that prediction, and since it was also announced this week that April 16, 2011, will be "Jimmy Buffett Day" in Florida, we had to go with a Jimmy Buffett tune for our Sea Song of the Week. So we did. 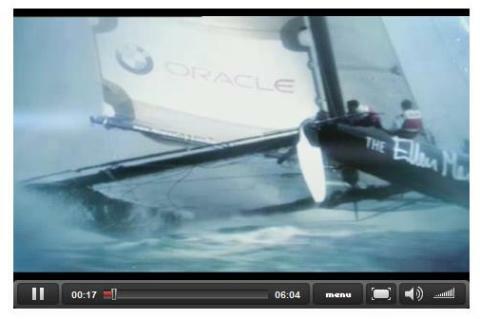 The 2011 SAP 505 World Championship at Hamilton Island, Australia. A Pictorial of Classic Americas Cup races from 1956 to 1987. 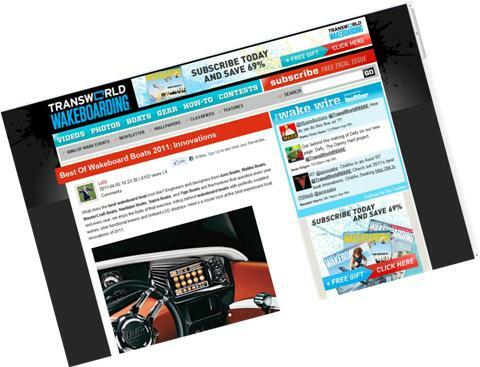 TransWorld WAKEBOARDING magazine announces the best wakeboard boat innovations of 2011. The May issue of TransWorld WAKEBOARDING magazine takes a look at the best wakeboard boat innovations of 2011. The review is online now, so we thought we would check it out to see if any of the advancements in the latest wakeboard boats are things you'd like to see on your boat. Guest contributor Vincent Pica looks at how real wave conditions that can affect your boat, even in familiar waters. We’ve covered many seamanship topics here over the past several years. Topics such as what to do if you’re sinking (Six Things To Do When Your Boat Is Sinking), how to handle heavy seas (Surviving a Storm at Sea) and what to do if you’ve run her aground (When Your Boat Runs Aground) have been among the literally hundreds of topics we’ve covered. One topic we haven’t covered is the general topic of capsizing. There is a tremendous amount of data on “righting moments”, centers of buoyancy and gravity, thanks to the US Navy and the US Coast Guard, amongst many institutions who literally live and die by these metrics. We’ve also seen a couple of columns here about wind and waves, which are the agents of capsizing (Wave Theory – and Practice.) But there has been very little direct data on what that translates into in terms of my 25’ boat and 8’ seas at the Inlet. This column is about that. This morning’s boating headlines from across the country were mostly grim, with capsizes, collisions and a shooting. As always, we share these stories in an effort to encourage boating safety. Each week we post a nautical tune to help get your weekend off to a great start, even if you can't get out on the boat - even when it's snowing out. And although the first day of April brought an April Fool's dumping of snow to our neighborhood, we still have faith that boating season is nearly upon us. 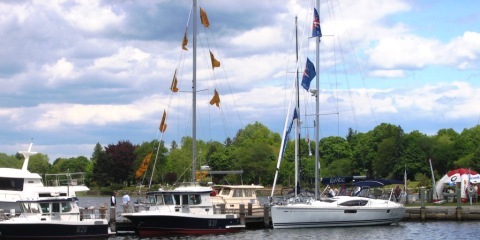 If it's still not warm enough to boat yet in your neck of the woods, you can still enjoy today's Sea Song of the Week on your way to a boat show, or while getting your boat ready for its first launch. We reached back 40 years for this hit song from a supergroup which consisted of Eric Clapton, Steve Winwood, Ric Grech and Ginger Baker. This week's Sea Song of the Week is..